The Stadden Collection provides collectors with a vast choice of figurines from a wide range of periods. From the regal pageantry of the medieval kings to the colourful splendour of the Napoleonic Wars. The practical fighting attire of the troops of the Great War to the grandeur and dignity of today's Coldstream Guards. The range includes single figures, mounted statuettes, vignettes, famous personalities and even chess sets. 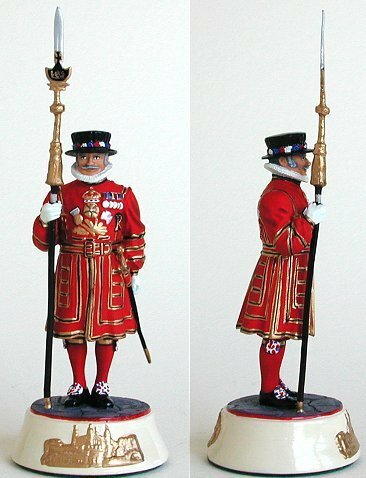 Cast in pewter every piece captures its own expression and detail, each requiring hours of intricate hand painting to achieve the totally life-like appearance, combining completely accurate historical detail on uniforms and equipment with portraiture in miniature. The quality on these pieces is superb.